Why does the UK do so little to reduce the consumption of added sugar, an expert in the article wonders. Yes, why? That's the tip of an iceberg (in time-span and money). Social media: corporate Facebook pages, Tweets, blogs, etc. So, there you have it. The large food companies and agricultural industry associations hire people like Cara Rosenbloom to publish whatever message they want the public to absorb. For example, if the potato growers association wants everybody to believe potatoes are better for you than eating meat, they can hire Cara to write magazine articles and edit Wikipedia pages in order to embed the idea in everybody's minds. She even goes as far as editing the Wikipedia pages, being part of the mass media distortion of truth, just to make sure she carries out her duty as messenger of whatever they pay her to say. How has this become legal in Canada? It is even sadder that the UK Government has also announced plans to take benefits away from people who are unable to work due to health problems caused by obesity unless they get treatment to lose weight. Yet the same Government works hand in hand with the people who caused the obesity epidemic! Checkout the webportal http://www.treatmentguideline.com which has the large number of guidelines for several diseases available internationally including for obesity and diabetes. Thank you for the work you do and for bringing this information to light and calling out the sugar pushers/enablers. One request, however--please try to find another source to cite rather than Russia Today, the propaganda arm of the Russian government, and one of its main tools in deflecting Western pressure stemming from its savage war on Ukraine. Totally unrelated to the issue at hand, I realize. But quoting them gives them power/reach, which I hope you don't want to do. 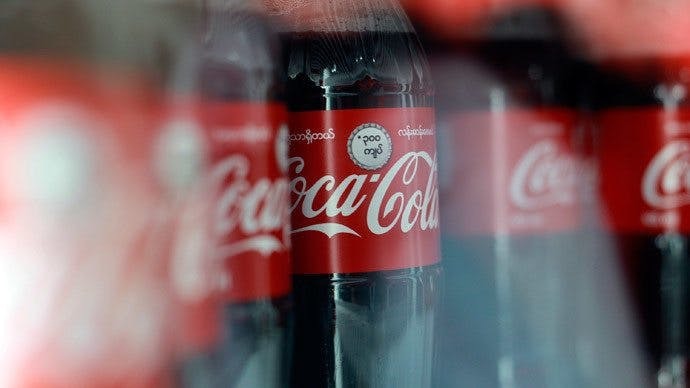 I feel that sometimes, news sources outside our own western propaganda, Western media which is sometimes corrupt and at the mercy of big corporate business like Coca Cola who hide truth from its own people are necessary to bring events to light. Lets face it , our own governments brainwash us. If the Russians or anyone else are blowing the whistle we should be taking some notice . We need more people in the world like Edward Snowdon in my view.